At Thunder Reef Divers we offer the complete training and support you deserve. 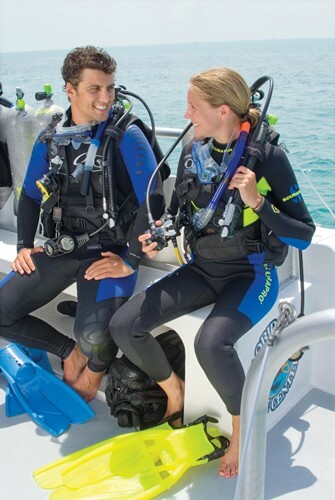 Up-to-date instructional techniques are combined with the most advanced scuba technology to make learning safe, comfortable, and fun. Learn to dive in one of the Northwest's finest facilities while enjoying the convenience of Thunder Reefs' on-site, private, heated pool. We also have some of the cleanest and well maintained student and rental gear in the area! Ask to see it! Specialty and Advanced Diver Classes, Go Pro and PADI Seal Team. Wondering if scuba is for you? Try one of our Discover Scuba adventures. Becoming a scuba diver is easier then ever! 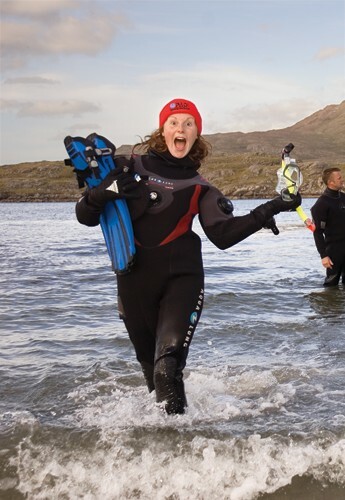 E-Learning, Pool Session, Open Water Sessions and all scuba gear other then your personal gear. Personal gear is -- Mask, Fins, Snorkle and Booties. Students will get a discount off personal gear ask the shop when you stop by to talk about the signing up for the class. Online Learning and Pool Session -- You then complete your open water dives on your tropical dive trip. There are a lot of options to complete the course so come talk to the shop and we can help find a good one for you. Sign up with Thunder Reef and complete the classroom portion of your training on your own schedule. Give us a call at 360-573-8507 or come by the shop and talk to us in person about signing up. With PADI or Naui online dive classroom you take the classroom portion from the comfort of your own home. Thunder Reef will provide you a code and direct you to the correct website for logging into the online classroom. Please allow yourself enough time to complete the online classes prior to enrolling in the pool and open water sessions. You need a solid 10-12 hours at least to complete the online portion. Next attend your pool class at Thunder Reef Divers. Check our class schedule for the one that will fit your needs. Student is responsible for transportation, lodging, 2 air fills and charter fee/beach fee if applicable. We provide you the paperwork and can help schedule your open water dives at a tropical location. Let us know if you need help or advice to contact a dive shop to finish your class. You have one year to complete your training. Congratulations! You are now a certified scuba diver! Once enrolled in a class the course fee is non refundable. If a transfer to another scheduled course is needed we are happy to arrange that as long as we receive a written transfer request within 7 days of your normally scheduled class.